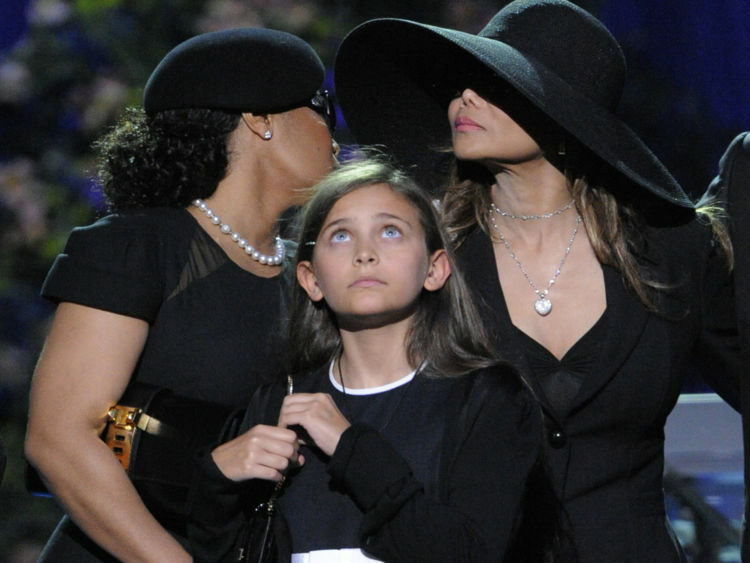 Michael Jackson's daughter Paris believes her father was murdered - and says she attempted suicide after his death. In an interview with Rolling Stone magazine, Paris Jackson said she believed the pop star's death in 2009 was a "set up". "It's obvious. All arrows point to that. It sounds like a total conspiracy theory and it sounds like bulls***, but all real fans and everybody in the family knows it," she said. "He would drop hints about people being out to get him. And at some point he was like: They're gonna kill me one day." The now 18-year-old was 11 when Jackson died of cardiac arrest due to a lethal combination of prescription drugs. The singer's personal physician, Dr Conrad Murray, was later convicted of involuntary manslaughter and sentenced to four years in prison. "They always say time heals, but it really doesn't," she said about dealing with the grief. "You get used to it. I live life with the mentality of: OK, I lost the only thing that has ever been important to me." Paris said she blames Dr Murray for her father's addiction to Propofol - a drug that slows brain activity and the nervous system. the time she was 15, Paris had attempted suicide "multiple times". "It was just self-hatred," she said, "low self-esteem". She also claimed she was sexually assaulted by a "complete stranger" when she was 14 and spoke about her battle with depression and drug addiction. "I didn't tell anybody," she said about the alleged assault. Asked about accusations of child abuse directed at her father, Paris said the pop star cried when they first emerged. "Picture your parent crying to you about the world hating him for something he didn't do," she told the magazine. "For me, he was the only thing that mattered."